Once, Dubai World has a motto saying: “The sun never sets on Dubai World”. The state-backed group was the mastermind of world’s famous 7-star hotel, incredible man-made Palm Island, and world’s tallest building – The Burj. By utilizing the oil wealth, Dubai had diversified into property and tourism since 2001. Property prices had gone up several folds – in this desert. Foreign workers are several times more than their own population. It was doing very well until overspending sets fire on its huge debts. With up to $80 billions of debts due end of 2009, Dubai is scratching its heads very hard now. This was all started a year ago when the global economic downturn ended the sizzling hot property boom. Dubai was empty pockets after their oil money was drained by collapsing real estate prices and over-ambitious development plans, which sparked panic selling across the world on fears of, prolong global recession. HSBC and Standard Charted Bank were believes to be the biggest financier to Dubai World, with the rest of the debt financed by regional banks. Yet, can Dubai pay back now? Impossible – with its tiny population and workforce! Luckily, its oil-rich neighbour – Abu Dhabi – is more than enough to fund a bailout and has incentive to do so. In exchange, Abu Dhabi would gain control of Dubai, whether economy or political. Not surprisingly, Abu Dhabi sovereign funds are searching for investments around the world, cited Citigroup as example, eagerly flush its muscle in Dubai. Of course, Abu Dhabi existing economy involvements in Dubai created a too-big-to-fail scenario here. For us, please rest assured that developments there would not impact our recovery path, except confidence. The dipping of stock markets worldwide this few days was mainly driven by emotional. In fact, this is a very good excuse for investors to exit the markets, which deem profit-taking. How to tell when the economy is getting better? Recently, I have more time to walk around and seek for others' opinions regarding their view on "whether recession was end?". After fooling around, I'm proud to make a conclusion: "50% YES, 50% NO"
(Real conclusion: NO conclusion at all). Agree or Not? This is my answer to the above question. 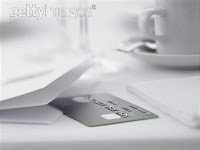 The most talk-about topic of the boring 2010 Budget is the Credit Card's Service Tax. Rm50 for principal and Rm25 for every Supplemental card. I believe almost every qualified person on the street owned at least one card. And, many of us own more than what our purse can accommodate. If this new policy is to be inforced starting next year, what's the impact? Cardholders: For sure, actions will be taken to cancel as many cards as possible. Unused cards sure not a problem, but how about those with installments? Congrats, you are forced to continue and pay Rm50 extra. How about those who still have CC debts and can't afford to settle it fully? Congrats again, you are forced to have more debts every year. CC sales person: For every new cards cancellation within 6 months, commissions will be crawled back by issuing banks. Busy calculating now? Government said this is a Rakyat-Friendly Budget, and I'm not surprise, since this service tax is successfully link with almost all of the Rakyat (But, it's not Friendly either). The objective given by government is to discourage citizen to ride the CC debts, which can leads to bankruptcy. However, these kind of policy would worsen the situation only by adding Rm50 more debts for each card. So, should this be implemented? And, how should it be implemented? YES, to induce a better CC culture, we should implement it. However, we should be fair to those who are using credit cards correctly. Example, Rm50 should only charged on the 3rd cards onwards instead. I think 2 cards per person is reasonable. Or, we can raised the card's application requirements and stringent the approval process. In other words, lending money to affordable cardholders only. Are there any more Upside? Right after the worst bear-run of the century, 2009 seems to be one of the best year in history of Stock Market. Although unexpected, the bull rally almost unstoppable yet. Will it last? Or, when would it last? W, V or L shape recovery is a hot topic among investment community. Anyway, all of this is depending on the basic fundamentals of the economies. the current bull-run is started just because of the low-base effect in terms of pricing. When stock prices are so low after 2008, many people became Warren Buffet - with no fundamental checks. They bought because of the stock prices only. And, they make some profit though. Not a bad investment, if they are lucky as far as I concerned. after the first phase of recovery, the second phase is earning potential. This is the phase where we must go back to the fundamentals of a company. Earnings growth is what will drive the share prices higher after the first phase. This is why share market traded range-bound now (Oct 09). What would excite the Bull to run again is earning growth. Public Bank and glove companies are the main drivers of KLCI last week with positive earning growths. However, any setbacks will pull us down as what we saw in US, where Bank of America and General Electrics reporting disappointed results. Conclusion: Do not look at the price from now onwards. Instead, look at the earning power of your favourite counters. Yes, there is further upside with earning as its ingredients. Do share your stock recommendations, which you think have good potential here. Hurray!!! Even though economic crisis is still following us closely, banks are willing to offers higher Fixed Deposit (FD) rate. Sounds good? However, let us look at this "exciting" offers first before making any decisions. Normally, banks are offering enhanced returns for those who also buy unit trusts or insurance products. They bundle these products, in order to give consumers special FD rates. But, is that your cup of tea? Do take note on the terms set by banks, such as the ratio of FD:UT / FD:Insurance. For instance, the insurance products bundled are higher in premiums. While for Unit Trust, ratio is directly affecting your return. If you includes the UT fees and the risks that you are taking, does it worth? Also, some banks are giving special 1-month FD rate only instead of 1-year. Do consult with your financial adviser for more. Your feedback is welcome. there must be insurance charges (many agents always say FREE coverage), that's why the return will be based on % of sum assured. there must be years of locking period (many agents say this is for long-term), where you can't get back your "invested amount" if withdrawn prematurely. there is NO double-digit annual return ever. If yes, ask whether is it Guarantee? Written? If still yes, let me know and I will sign-up immediately. So, be careful when you are dealing with these "financial providers". Insurance is a long-term thing. If you found out late, you will be penalised with $$$ or forced to continue for years. *Hint: Insurance is for protection or long-term financial planning only. Not for investment. Why is so important to be financially literate? After Lehman Brothers' collapsing 1 year anniversary, did you noticing the urgent needs to be financially literate? If no, you must start now. And if yes, what have you done for the past 1 year on it? Financial products (insurance, investment, loans, credit cards) are becoming more complicated nowadays, if we are not well-verse with it, how? A very good example have been shown by the toxic-bonds thrown by Lehman Brothers. Sometimes, it's not necessary to fall into a hole, for the sake of knowing how deep the hole was. If the hole is shallow, congratulation for having a 2nd chance with lesson learned. If the hole is deep, you may not back to your feet anymore. Good Luck !!! Equity market started it's Bull-run since March 2009 until now. This has caught many of people's attentions, also, caught many investors waiting for a drop for months. None of us know the exact answer of it. But, one thing is for sure -- market is recovering slowly. As an investor, leaving the market is a sure WRONG strategy. Now is the consequences of it. Even Warren Buffet didn't exit his investment totally, instead, slowly increasing his equity exposure to those "jewels" he selected carefully. 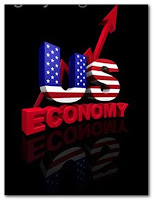 US undeniably was recovering from "Illness" now, however, the treatment bills (budget deficit) can't settle overnight. This have been putting pressure on USD. And, bear in mind many commodities are trade in USD too. Yes, demand is weak now. But, it doesn't mean that it will be the same when all the governments' projects started to take effect. This sudden demand may last for few months only, but, it could spike up the prices and have a say on inflation rate. Whenever we talk about resources, speculators would come into picture to take advantage of it. That's why it was so volatile each time. And, I believe this time will be the same too. Maybe the speculators is OURs this time. We can't change the herd-mentality all this while, right? Many of my friends make a lot of "horizontal-wealth" through investment during 1st half of 2009. However, starting middle of June 09, share market around the world turns ugly. Or, continuing of bear market? Like I said before, US funds accounted more than 50% of global market investment. Economists foreseen that USD will weaken in the immediate future. And, June is window-dressing month for fund managers. If you relate these 3 assumptions together, the secret had unfold. From March 09 onwards, US funds have been flowing out of US to other countries. Emerging Markets rally. USD weaken. When mid-year reporting seasons approaching, fund managers lock-in their profit, pull their funds back to US. Emerging Market correct. USD strengthen. Back to 90's Asia Bull Rally? Still remember 93-94 Asia market bull run? What is actually causing the bull run during that "sweet" time is happening soon (1-2 years). During that time, because of weakening USD, funds being flowing to other market instead of US. And, Emerging Market - especially Asia - being the top spot for foreign funds to invest in. Malaysia, by that time didn't left out from the opportunity, and changing the lifestyle of many Malaysians (from ordinary person to Stock Traders). This time around, many economists predict that USD will weaken because of the massive budget deficit recorded, high unemployment rate and weak economy's figures. What's the big deal? Do remember that US funds reaches as high as 50% of world's share market. See it now? For sure, US funds will flow from US to Emerging Markets (to get out from holding US currency). Then, which asset classes they may went in? Fixed Income or Equity? It is very much depends on the risk appetite of investors. But, from the current scenario (June09), investors are most likely to move out from being conservative to aggressive mode. For that reason, Emerging Asia is the region where investors could not afford to miss out. More capitalised market like China, Hong Kong, and Singapore will most likely to benefit from these in-flow of funds. Which sector/type of companies being recommended by you??? If we analyze corporate bankruptcies occurred in U.S, we could found a huge differences in-terms of market reaction. Lehman Brothers bankruptcy last year had caused the market slump to all-time lows around the globe. However, General Motors story didn't have any impact on the market either. Instead, market gone up "crazily". In fact, GM's demise had broken the U.S history -- largest corporate failure. Expectation. LB caught everyone surprise when U.S government didn't lend a hand to rescue it, although LB is much more popular than Fannie & Freddie. In contrast, GM should have closed down long time ago, if not because of U.S government stubbornness to revive the company. Finally, "Paper cannot used to cover Fire". GM's case is expected. Factor. Before GM announcing the final decision on whether it will survive or demise, market had actually factoring the possible worst outcome ways before GM's due date. Relief. Market's arrow points to the sky instead of ground, because of the credibility of U.S government measures to revive the economy. Sometimes, facing the truth is the best solution for moving ahead. Peoples are relief that, after so many months of speculating, GM finally closed down. What should I said further? 2008 share market around the globe had fallen 30-80%. Lately, market can't wait anymore, and had started to point the opposite direction instead. Given the vast investment opportunities, which are the best options for you to choose from? High Liquidity, where foreign or institutional investors can buy or sell their shares easily, without controlling too much of the share price. Good Reputation, like Genting and IOI, are well-known in the market, which always fall into the radar of investors globally. Industry's Icon, like Sime Darby which is an iconic company of Plantation sector. Should plantation sector revive, you can't deny it. Secondly, choosing the right sector. Some will come first, some will come second, and some will come last. Sometimes it's hard to identify the prefer sector to invest. Choosing the wrong sector could jeopardise your investment return given a certain time-frame. Hints: Which sector will benefit most from a series of measures taken by Central Banks and Government? Recently, i came across an interesting article titled above. Most investors prefer to stick to their "home" market. It's a mistake. Are you sure your country will gave you the best return? So, spread your bets across the board. You probably won't catch the bottom or peak. Then, what's the rush? Why buy or sell heavily in one shot? 3. Remember the market is just "us"
Shares rose when everyone was buying, fell when they were selling. And when everyone is trying to predict the market, they are chasing themselves through a hall of mirrors. People (even economists) tends to say: "these shares have risen", "these shares are rising", "these shares will rise". Past...Present...Future tenses. Do not get suckered. Sooner or later someone will urge you to buy shares, even at very high prices, because There Is No Alternative. Especially at the peak of the market. There are always alternatives -- like holding cash. Here means investing across a spread of different asset classes and strategies. Not, "large cap value" and "mid cap blend". Think carefully, it's Asset Classes and Strategies. Economists and analysts always found the reasons and predict the market direction, even if their views are wrong. So, do not take their forecasts the only source of information. It's natural to want to "join the crowd" and avoid being "left behind". When it comes to investing, do what's right for you. Do not rush into or out of the market. But, it doesn't mean patient enough to miss all the opportunities (see rule 11). 11. Don't sit on the sidelines completely until it's too late. If you are afraid to invest, do it early, little, and often. Last week, KLCI showed signs of weakness initially. Somehow, "brave" investor storming into the share market to provide buying support. The benchmark index recovered nearly all the earlier losses to post a positive figure. Anyway, the optimists appearing to have won the match of emotional market place. Daily average volume of 1.5bil shares and RM1.3bil value make Bursa the direct beneficiary of the game. A H1N1 flu pandemic treat, seriousness of it, spread or under-control? Starting of a Bull-Run ? For the past few weeks, Equities Market around the world had rally 20% in average. Should I Accumulate or Take-profit now? Then, what should I do instead? And, I would say that: "Watch-out for the next few weeks!!!" - not only no GROWTH, but Contraction "Again"
Anyway, Do Not be so disappointed with the facts. The good news is this could be the last correction before pathing the way for recovery. In other meaning, this could be the last chance for investor to accumulate shares at the most attractive price. After some massive layoff of workers around the world, especially in the manufacturing, banking, automobile sector, the pain of economy seems unstopable. This could continue for weeks or months - hopefully not years. As a "cure", governments around the world had come out with some brilliant ideas - though effectiveness still waiting - to combat the crisis. From bank bailouts, numerous stimulate programs, lowering interest rate, to share market stabilization/rescue plan. However, does this really works? Let's take a look at the basic fundamentals of real economy. What I'm saying here is the Demand-Supply. Please do not forget, economy indicator like Gross Domestic Product (GDP) measures the national income and output. Take note: Output. 3. Then, who is going to consume the products that we are producing? To answer the questions, or in other words, to offset the declining purchasing power of U.S and EU, we must have a substitute(s) here. The candidate should be having a huge domestic consumption power, enjoying wealth creation, and, still having the growth engine. Undoubtedly, China is in the best position to withstand the current crisis, due to its strong fiscal position and healthy banking system. However, the domestic consumption of China still very much lesser if compare to U.S. So, China should find ways to spur their domestic consumption in order to consume outputs produced around the world. Instead of as an exporting country, China should became an importing country. If not, we could not solve the equation: Demand = Supply. Normally, Gold prices will advance whenever USD weaken. However, the scenario is different for the past one month. As we all know, USD had weaken for the past one month due to lost of confidence arising from the credibility of U.S governement to revive their economy. Thus, questions on the ability of highly-debted U.S to trim down deficit in the medium-term arosed. Even though, President Obama's assurance to China that their investment in U.S treasuries papers are secured, people around the world seems had lost faith in USD for the short-term (if not long-term). Instead of preserving their wealth by investing in gold, people are taking a higher degree of risks now. They are moving out from gold investment into equities around the world, especially Asia-Pacific. This could be proved by the evidence that gold spot price had fallen to around $870 from over $920 a month ago. And, in the same time, MSCI Asia Pacific Index had increased 23%. So, should you invest in Gold or Equity now? Pretty hard to answer, right? US are haunting us with its unemployment rate for March-09. Guess, Guess, Guess... Its 8.5% !!! This is not the end of the story, because April most likely would be the same (if not worse). Anyway, this is not suprise for us as an investor. Even after annoucement, Wall Street still holding very well (for the time-being). For the past one week, Wall Street had shoot up 10% due to over-optimism on G20 summit. However, I would like to remind everyone here. The 8.5% is meant for unemployment rate, not GDP growth (hahaha). Thats why nothing to celebrate. To make thing worse, we expect that US 1Q09 GDP growth would be in the red too. Finally, the Obama administration unveiled its long-awaited plan to remove toxic assets from the books of the nation's banks. And the next question would be: Does this works? The $1 Trillion announced was not a small amount. If this measure failed, then, the whole of US sure would go into deep trouble (although now US is boiling the water over 100 Celsius). This is because, US largest creditor - China - would be more concerned about their investment in US treasuries of over a trillions. China had voiced out their concerned lately. And, US re-assured to the world regarding their sound economic conditions. Then, USD had started to weaken against major currencies in the world. I would rather asked: How safe was my investment in US treasuries? If i get back my money with much less value, there is no point investing my money there !!! Anyway, one thing is for sure. This $1 Trillion plan to remove toxic assets from banking system is the way forward to rescue banks from further write-downs. March09: Singapore Dollar will fall in April ??? YES... Attention to all working adults in Singapore, especially Malaysians. Now, im writting this in March 2009, and if this is true, it would be bad news for Malaysians in Singapore. 2. Singapore government most likely will further lower already low interest rate to spur economy. In other meaning, not attactive to hold SGD. 3. Cost of pump-primming projects would widening the figure of budget deficit, which needs several years to recover. Now, the FX rate is SGD 1 = RM 2.4, which is a good rate to convert it into RM. So, it is time to move your SGD now. Please take note of the DATE !! !